Bitter~Sweet ™: Seventh Annual Diabetes Blog Week!!! When I first started Diabetes Blog Week way back in 2010 I had no idea it would have such staying power. Each year I become more and more grateful that so may of you continue to show so much support and enthusiasm for this event each year. I’m also thankful for all of the help you’ve given, with topics for us to write about and suggestions to help things run more smoothly. Diabetes Blog Week has continued to evolve and grow in a way I couldn’t have ever imagines. And so I’m beyond excited to kick off the SEVENTH!!! Annual Diabetes Blog Week. Here we go! When is Diabetes Blog Week? 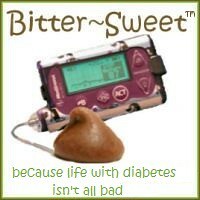 The seventh annual Diabetes Blog Week will take place next week, from May 16th through May 20th. Who can participate in Diabetes Blog Week? DBlog Week is open to anyone who blogs about diabetes - be it Type 1, Type 2, LADA, gestational, etc., and it’s also for parents, spouses and caregivers to someone else with diabetes. If you blog about diabetes in any capacity, please join us! The more perspectives that are shared the more connections we can make and understanding we can foster. If you don’t have a blog but have thought about starting one, now is the perfect time. There are free blogging sites (such as Blogger or WordPress) that you can use to get started. Can blogs done by groups, organizations and companies join? I like to make Diabetes Blog Week as inclusive as possible, so yes, group blogs and professional blogs are welcome to join. However, the posts must be written by a blogger with a diabetes connection. Also product plugs / advertising will not be allowed. Posts that do no adhere to this policy will be removed from the master link lists. (More about those lists below. Thank you all again for the overwhelming support during the last six Diabetes Blog Weeks, and I’m thrilled to be doing it a seventh time! 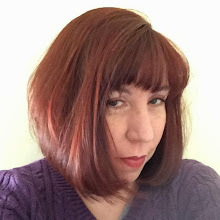 Karen, it is the best way I know to help build and maintain community, bravo DSister.